That’s how long it will take for some of UCM’s Concert Choir members to make it to Xi’an (she-an), a city in central China, this summer. An invitation to perform at the 2019 Xi’an International Choral Festival, July 16-26, came to UCM’s music department after Thanksgiving. “One of their senior officials sent us the invitation,” said Adam Zrust, director of choral activities. Zrust says he’s not sure how they heard of UCM — maybe a reference. 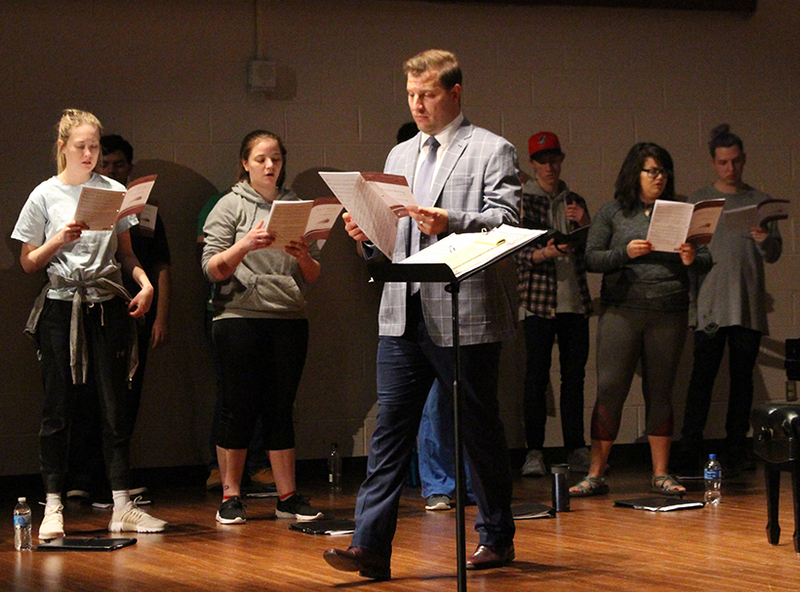 “It’s pretty reassuring to know that he (Zrust) is doing quite a lot right with his choral program for news of our chorus to travel all the way to China without us even knowing,” said Tristan Jordan, junior studying sport communication. Not many universities from the U.S. will be in attendance. “To my knowledge, we’re one of only three American choirs to be invited,” Zrust said. Zrust told students about the opportunity before they let out for winter break. While no numbers are set in stone, Zrust anticipates 30 students will be going on the trip. Michelle Forge-Jackson, vocal music education major, said she can’t wait to go. Choir members were excited about the trip but the cost may limit who could go. During their time in China the group will have a few primary jobs. Zrust said the choir will be learning 12-15 new pieces, which adds up to about 25 hours of additional rehearsals. “Our schedule this semester is pretty packed with other stuff so we don’t have a whole lot of time,” Zrust said. The group will do a few rehearsals this semester and meet more regularly in the summer. Zrust’s intention is to focus primarily on fun, upbeat music because he said that’s ultimately what they want to hear. When the students aren’t performing or in workshops they will be touring. Part of their tour takes them through Beijing. While both Jordan and Forge Jackson have toured with previous choirs, neither have performed overseas. The feeling seems mutual between Zrust and the students. “Being picked to perform at this conference is a wonderful opportunity and is going to be something our choir can remember for a long time,” Forge-Jackson said. This trip has the ability to challenge the students as artists and help them grow as individuals.